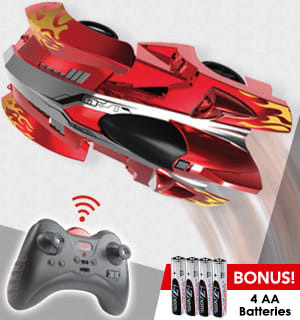 These awesome RC Racers are a ton of fun packed into a car the size of a Matchbox or Hot Wheel... but you can actually control and race these! 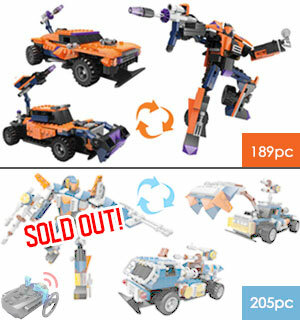 That's right, these aren't just dull old diecast models. 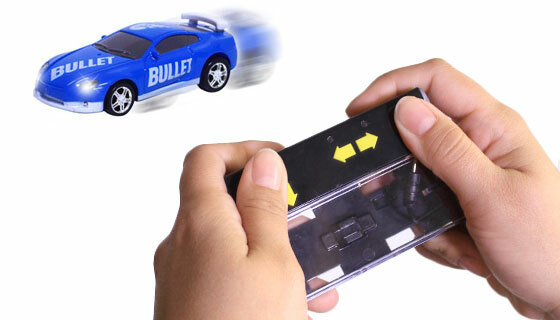 Each car comes with a remote control that doubles as a charging port that you can store the car in, plus 4 mini cones that you can set up to race around. They are 4-way remotes that allow you to turn left and right and even reverse. 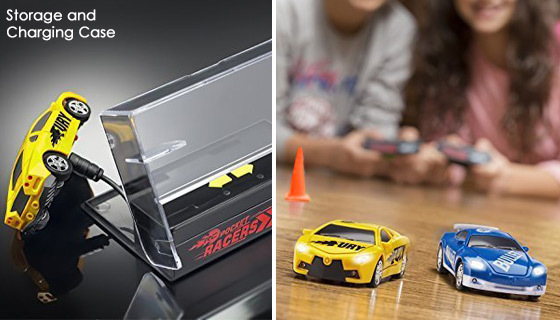 You'll have a blast setting up custom race tracks around your house and achieving the best lap time you can! 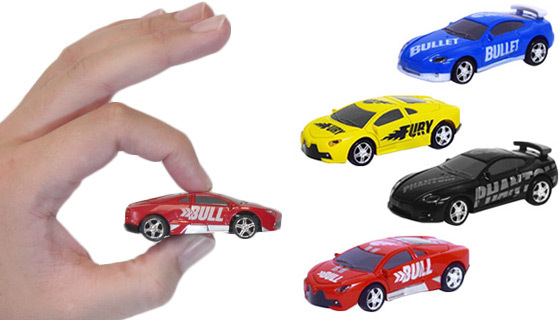 They come in 4 different styles: Fury (yellow), Bull (red), Bullet (blue) and Phantom (black). There is no color style choice available, but they all look super cool. Due to our latest shipment, we may not be able to offer an assortment of colors when you buy more than one (as indicated in the video). But yes, you can race multiple cars at the same time without crossing frequencies. 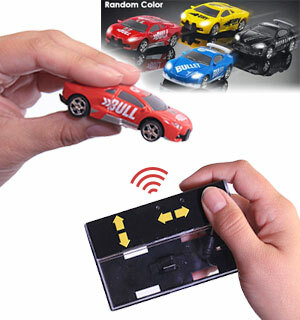 Once you pair the remote with the car, it won't cut into another radio signal. Note: despite what Zack says in the video, we cannot guarantee the warehouse will send you different colors. We got much more of a few colors than others, so you may get duplicates. Do Not Order if this an issue. - Car Dimensions: 3" X 1.25" X 1"
- Remote Case Dimensions: 3.75"X 2.25" X 1"
Cars are an absolute RIOT! My two grandsons unwrapped their mini-cars and started racing each other immediately! I couldnt believe they worked so well with just a few training moves by both boys. I dont know how long the fun lasted, but I was a hero that day. The grandson loves them...thats all that matters. I think it took me a while to get it going, that maybe because my batteries were not too strong. I cant remember now for sure. Has not been given yet... but, I am sure my Nephew will love it. I bought 3 of these for my grandson. One didnt work out the package, PulseTV replaced it very quickly. However, the 3 that worked, only worked for 30 seconds at a time. Then you had to recharge the battery. Also, the solar panel never worked to recharge the battery. 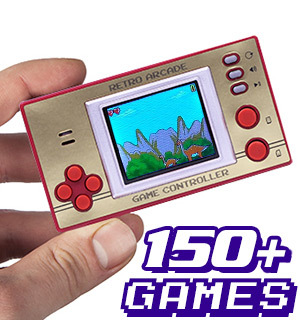 My grandson never plays with them because the battery only lasts 30 seconds, sometimes almost a minute. They are not worth any price. Hi Roy! 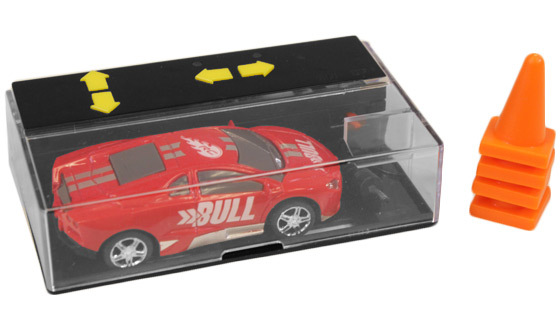 If the cars aren't holding a charge for long try changing the 2 AAA batteries in the charging case. Once you've replaced the batteries let the cars charge for 20-30 minutes. This should do the trick! Ordered for most of my grands for Christmas, was asked why not ALL. Lol. Guess they love them! Ordered another. My 2 grandsons absolutely loved these racers. They are fabulous and provide kids with hours of fun! I purchased two of these as a Christmas gift for my husband. The cars work well and having working tail and headlights just adds to that. Of the original cars purchased, one controller did not work properly. It took one quick email to Pulse TV for my issue to be completely resolved. The cars themselves move fast and are a lot of fun. 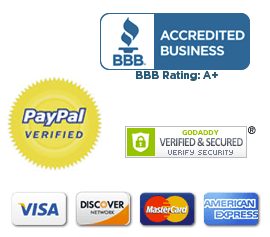 They require frequent charging, but even that is a fairly rapid process. Great fun and a very good mechanical design to the car storage and powering unit. They were really fun...until the second car quit turning right after 3 days. Purchased for adult male that loved them until then. The cars are a lot of fun. In the video we were told that if we ordered several we would get several colors. All we got were Black and Yellow cars. I ordered 7 of them. They did all run at the same time without any problems. Were very thrilled. They worked very well. Didnt realize they actually could be stored in the controller. Better than I expected. They are a lot of fun and a great buy. Great fun! Easy to use and durable. I let my grand daughters play with them and they are 2 through 4 years old. They had a wonderful time with the racers. I would recommend these racers to anyone! Bought this for my 2.5 year old grandson for Christmas. He loves it and chases after it as he is controlling it. I love how the headlights light up in forward, and the rear lights light up in reverse. Also, its so quiet when running! Awesome buy! I purchased 6 of these little cars for kids from ages 6 to 13 for Christmas gifts. Each child had so much fun with them. They set up their own obstacle courses, had races and really had so much fun. Small package. Tons of entertainment. Very nifty little racer. I gave one to my nephew whos 13 years old and he just loves playing with it. This would be a great stocking stuffer for the price. 63 yrs old . I bought 2 sets one for me and one for my grand son for Christmas.I have already played with mind and they are a Blast.Remind me of HMO race cars as a kid. The two I gave away were received with great joy by a boy age 10 and my grandson age 6 - even the girls at the party and a 15 year old wanted one of them. Great fun and it gave me such pleasure to give them. The others will be Christmas gifts. These are great for gift giving. The boys enjoyed playing with them. So much fun. 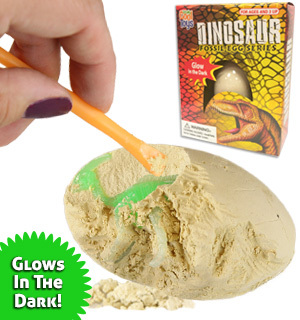 Cant wait to see my 4 grandchildren and probably 5 boys playing with these.